This tasty libation is guaranteed to end off your winter season with a bang. With its commitment to the unconventional, Monkey Shoulder Scotch whisky invites you to stir up a Godfather Sour as winter draws to an end. 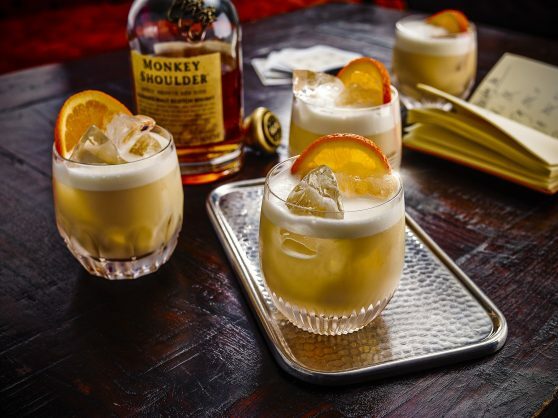 The smooth, rich flavour of Monkey Shoulder tastes just as good on the rocks as it does mixed into this refreshing cocktail that’s earned its place in the shakers of the world’s finest bars. When looking at quenching your thirst the traditional might go for water, but we prefer an interesting twist on an old classic – the whisky sour. We call it the Godfather Sour, and once you taste it you’ll understand why. Add ingredients to a cocktail shaker, shake well and strain into a glass.